Tropical Plumbing is Central Florida's New Construction Plumbing Company. 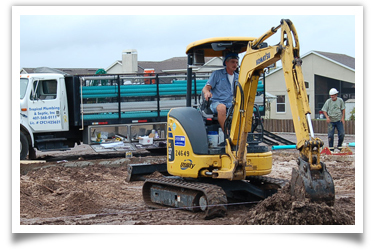 Tropical Plumbing’s ability to manage large scale Single-Family, Multi-Family and Commercial Construction projects sets Tropical Plumbing apart from other Central Florida Plumbing Companies. 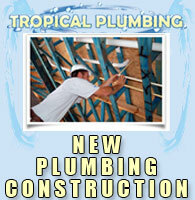 Call Tropical Plumbing to discuss your New Construction Project or Contact Tropical Pluming Online. Maintaining the Plumbing systems in your home or office is very important. A leaking faucet, tub or toilet can cause a significant amount of water, mold and structural damage and can be costly to your wallet and to the environment. Tropical Plumbing has been providing Professional Plumbing Repair Service in Orlando Florida since 1998 an is unmatched in the quality and professionalism they provide. For all of your Residential and Commercial Plumbing Repairs including Faucet Repairs, Kitchen and Bathroom Plumbing Repairs, Septic System Maintenance, Water Treatment System Maintenance and Water Well repairs, Tropical Plumbing will complete your Plumbing Repair correctly the first time. Schedule your Plumbing Repairs Online!. Having an old septic system that backs up into your house can be a big problem. Tropical Plumbing will install a new Septic System that will keep your family and home happy for years. In addition to installing Septic Systems, Tropical Plumbing also has it's own Septic Pump Truck to Pump out your Septic System for continued trouble free use. And if you need SAeptic Repairs, a new Septic Pump, Septic Power Supply, Septic Alarm or any Septic Part or Component Repaied or Replaced, Tropical Plumbing is the Septic Company to call. 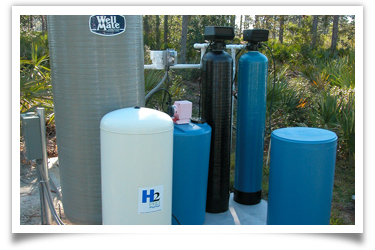 Florida water has never been known for being the best tasting water, especially Florida well water. Tropical Plumbing however is changing all of that. 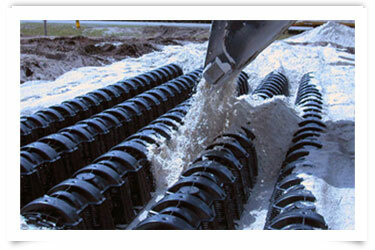 Through the development of their “Tropical Treatment” Water System high-quality water is easy to obtain. The "Tropical Treatment" Water System eliminates virtually all traces of sulfur, iron and discoloration from tannins. The result is pure clean drinking water that tastes better than most bottle waters. With the use of a “Tropical Treatment” Water System in your home you will also have noticeably cleaner clothes and no iron stains on your sinks, tubs and showers. Call Tropical Plumbing today for the best Florida water you’ve ever tasted. Having good water to drink is a vital part of living. Tropical Plumbing understands the importance of good water and will help you and your family have the cleanest, best tasting, safest water possible. Good water starts with drilling a good well. Drilling a Wall to the proper depth is critical to reach the best water in your area and is a skill that an experienced well digger must have. A Professional Well Digger will know when to put in a Shell Water Well and when to put in a Deep Water Well. If you need to water the livestock or keep a pond full, a shallow well will probably meet your needs. 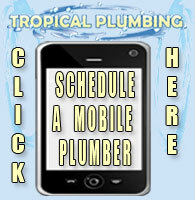 Call Tropical Plumbing todat at 407-568-01111 and have them drill your Water Well. 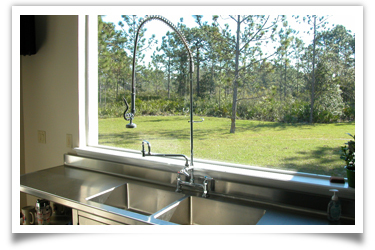 Tropical Plumbing is the Kitchen and Bathroom Remodeling Company for Orlando and Central Florida. If you're remodeling your Kitchen for a better cooking experience or your Bathrooms for a modern look and feel, Tropical Plumbing will do a great job, add value you to your home and "Upgrade" your daily life. Be sure to mention that you visited Tropical Plumbing.com.